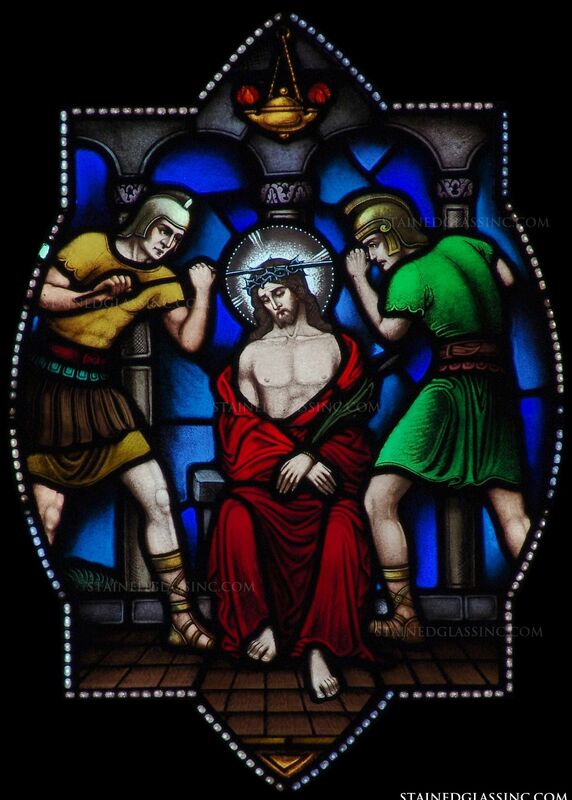 The Roman soldiers pushed a crown of thorns down upon Jesus' head as they mocked Him and called Him "King of the Jews". 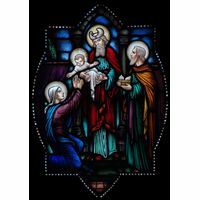 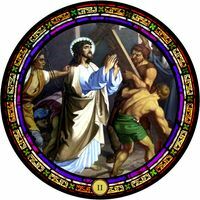 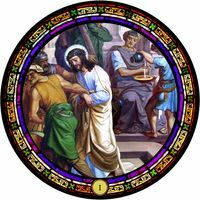 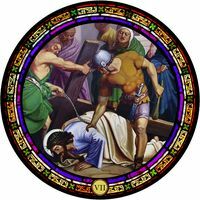 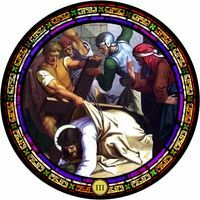 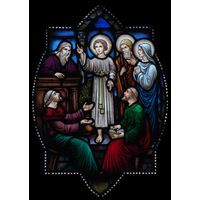 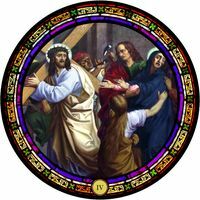 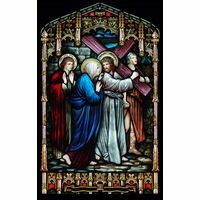 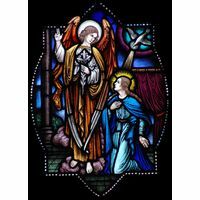 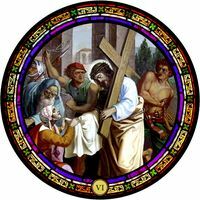 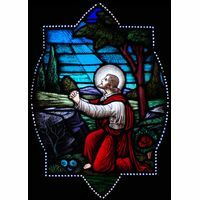 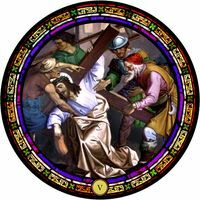 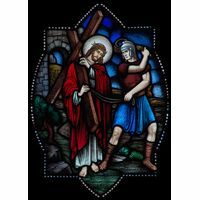 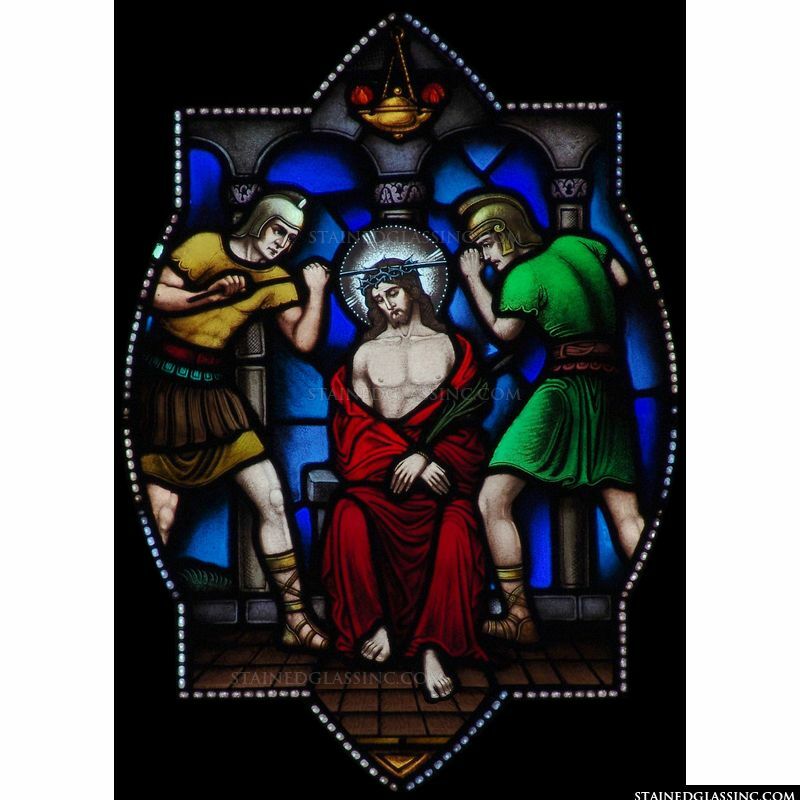 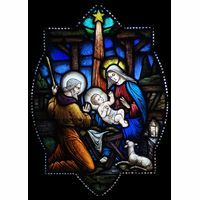 Jesus' pain and sacrifice for our sins can be seen in this brightly colored stained glass window panel. 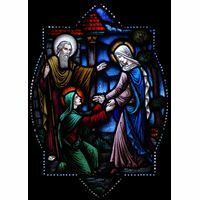 Inspire your flock with this piece of shining stained glass art.